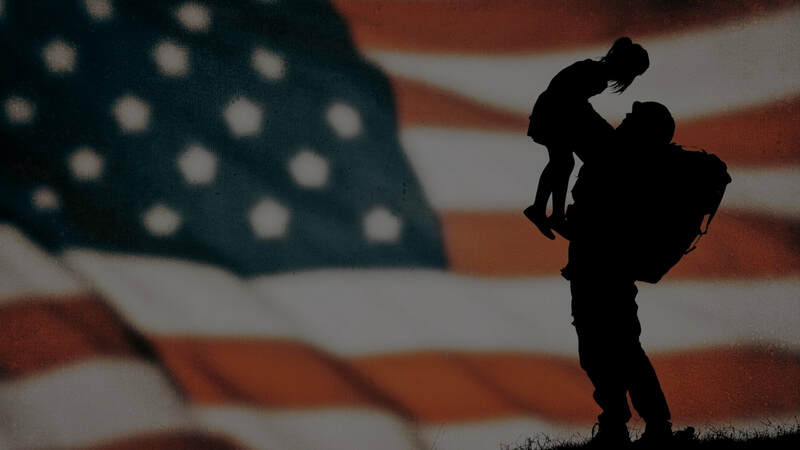 ​as gratitude for their lifetime of service. In 2012 Dmitri founded Progressive Results, Inc, a non-profit 501(c)3 organization dedicated to provide a range of unique exercise therapy programs, strength and conditioning classes to Wounded Warriors, Veterans and their families, and underprivileged youth with the goal of providing fitness, health, and personal empowerment to improve their lives. Dmitri Sataev also the CEO and founder of the United States Girevoy Sport Federation (USGSF) and the Russian Kettlebell Academy (RKA), both founded in 2003. 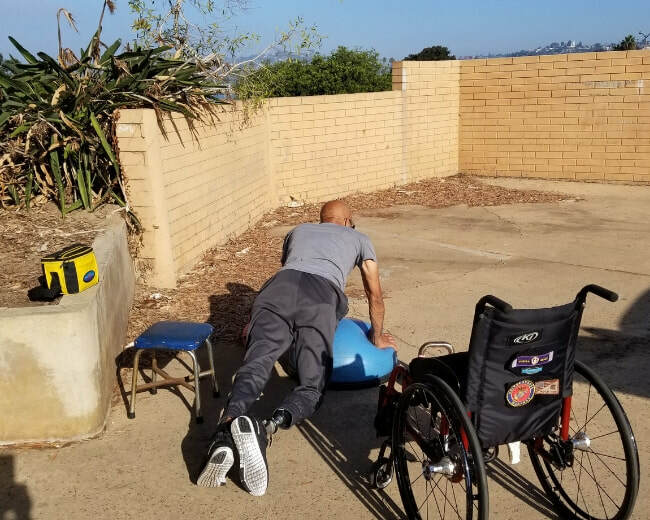 Our Mission is to "strengthen the mind, body, and spirit of San Diego's Wounded Warriors, Veterans and their families by utilizing innovative techniques and individually customized exercise therapy strategies". 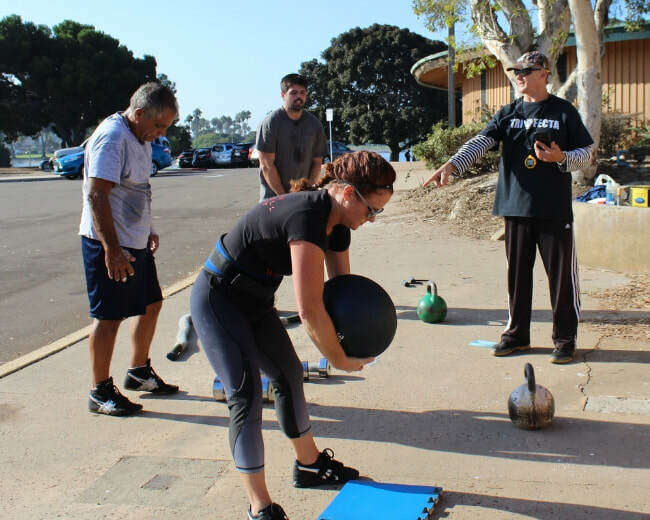 Our non-traditional approach to strength training incorporates the use of many unconventional approaches, including the use of Russian Kettle-bells, which are different from standard weight lifting equipment. Kettle-bell training focuses on movements not muscles, as well as whole-body conditioning for physical mobility and mental toughness. 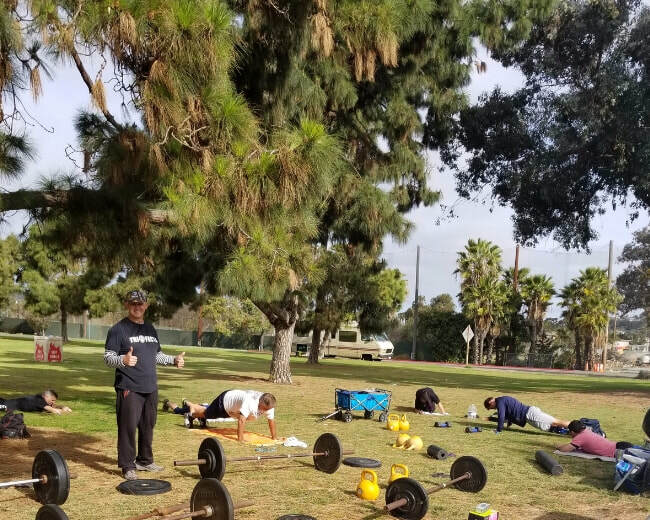 Progressive Results provides a range of unique exercise therapy programs promoting health and wellness for our Wounded Warriors, Military Veterans and their families for a better quality of life. and with proper paperwork., active duty military minimum 10% discount. Please note: maximum class size - 5 students; our classes are taught by experienced fitness instructors who are certified in First Aid, and CPR. All class participants must get clearance from their doctor before they can participate in our classes. Download the Medical Clearance Form below. 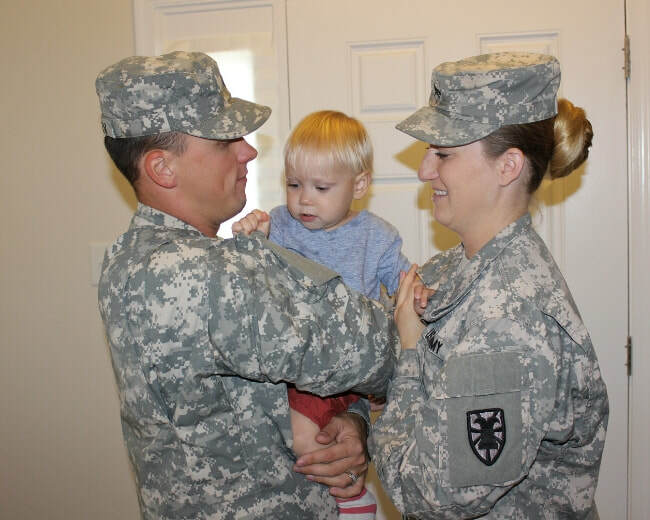 Help us Reach our Goal of Serving 200 Wounded Warriors, Military Veterans and their families in 2015! Please Donate Now to help make this possible! Many thanks to our wonderful sponsors below. 3-Time GS (Russian Kettle Bells) World Champion 2011, 2013 and 2014. 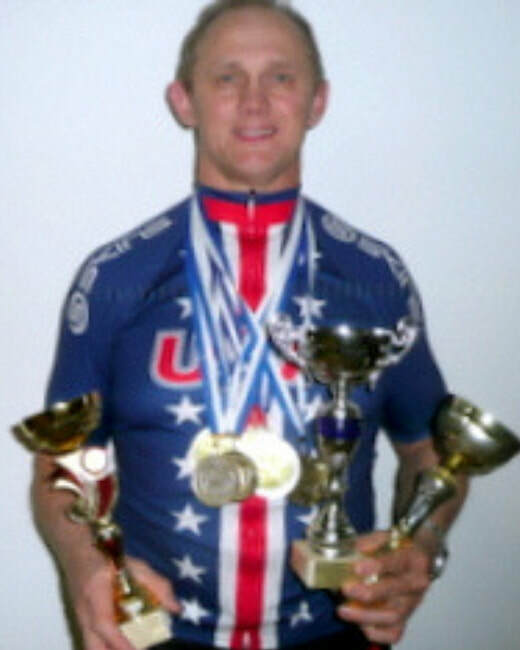 4-Time GS (Russian Kettle Bells) World Champion 2007, 2010, 2011 and 2012. Dmitri has given me the training I need to take my strength and conditioning to the next level. The workouts here are defiantly for those strong of will. You will be pushed to your limits. The atmosphere here reeks of sweat, hard work and determination. My job requires that I be in only the best of shape, and at USGSF, I've found the training. My physique has drastically changed since the short time I've been here. This place is for serious individuals only. Welcome to USGSF. Welcome to Russian Hell. " I'm making this contribution because I believe in what Progressive Results is trying to achieve. It's unfortunate so many children are being deprived of physical education, sports and the fulfillment that comes with everyday exercise. Though I am unable to do much more than donate, because of my current situation, I will no doubt be looking to take part in the programs offered by Progressive Results when I return to the states, and help bring to the children in need what they so deserve. I began training at the Progressive Results gym under the tutelage of Dmitri about six months ago. His instructional methods and ability to coach have helped me progress to levels of performance that I could not have done alone. When Dmitri takes someone to instruct, he builds them from the ground up and takes pride in doing so. His classes are for people who want to learn the actual sport of Girevoy and/or want to improve their conditioning. A month ago, I became an instructor in the sport and I use the girya during morning pt at my unit to improve the fitness of the sailors I work with. I have worked with Coach & Elena since the summer of 2013. I started off working with him via his online/email training. 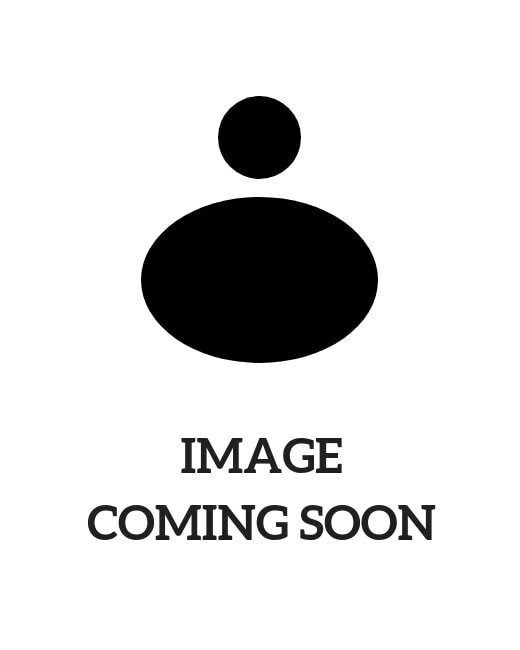 I had very little experience with working with Kettlebells except for with the American style lifting. He worked with me daily and gave clear direction over email to ensure I was progressing in my fitness and weight loss goals safely. In the winter of 2013 I began working with him and Elena at the gym. The gym is well equipped with incredible variety of training tools . The amount of clientele is not overwhelming or intimidating; there are all types of people in various stages of training and with different fitness goals, but the groups are small enough that you get personal attention with your training. The gym feels like a family. A group of like minded people wishing to survive Coaches routines of horror. Coach will push you and call you out for slacking, like a Coach should. After about a year off from training, I'm back working with Coach via online training due to my busy work schedule of 60+ hours week. With that schedule I have still found time to train and have lost 15lbs in 3 weeks!